It’s fresh, it’s fun and it’s totally fabulous. 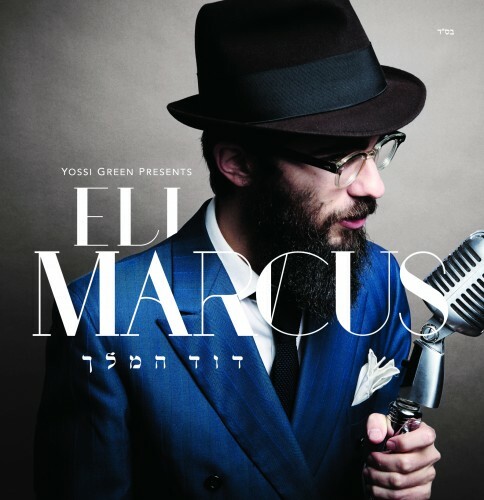 The long awaited debut album from Eli Marcus, the youngest member of the Marcus family. The album, entitled Dovid Hamelech, features the compositions of Yossi Green, with contributions from Yitzy Waldner and Elie Schwab. On board for the arrangements is world renowned musical director and producer, Shai Bachar. Marcus’ name is familiar to many within the Jewish music scene. An in demand wedding singer and performer, Eli has been working on the wedding scene for over six years. On his new album, Marcus offers a vibrant spin on classical Jewish music, imbuing the songs with his innate creativity and his unique sense of style. The album has a unique feel thanks to the production, done by Eli and Bachar. “This album was made with musicians who are like a family and have been working together for 15 years” Said Bachar. David Hamelech is distributed by Aderet and is due out next week. Look for it wherever Jewish music is sold or online at www.MostlyMusic.com.